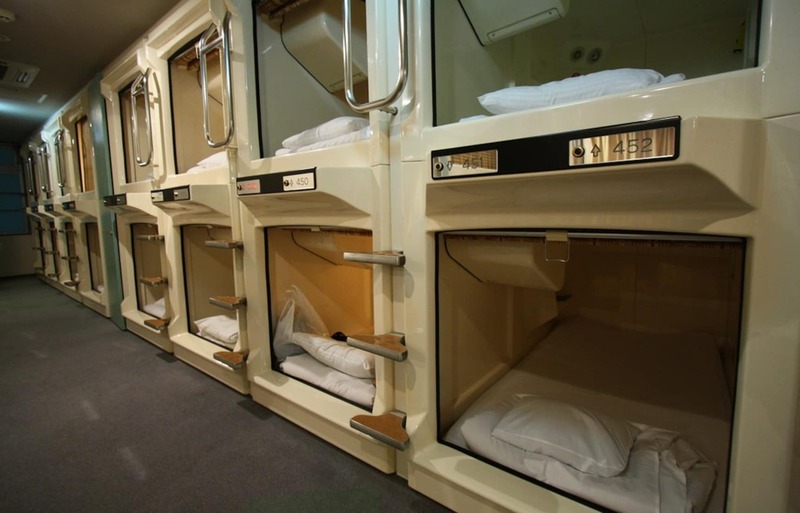 The first capsule hotel was opened in 1979 in Osaka's Umeda district. Designed by renowned "metabolist" architect Kisho Kurokawa, it was meant to represent the business lodging of the future. Now these inexpensive, bare-bones accommodations can be found in city centers across the country, welcoming thrifty tourists and businesspeople alike. What is a Capusule Hotel? A capsule hotel (カプセルホテル・kapuseru hoteru) is designed as an economical and convenient inn for tourists or people on business trips. Capsular rooms will line the sides of a large floor, typically in two ranks one above the other, and each room provides a guest with a small private space about equal to that of a narrow single bed. 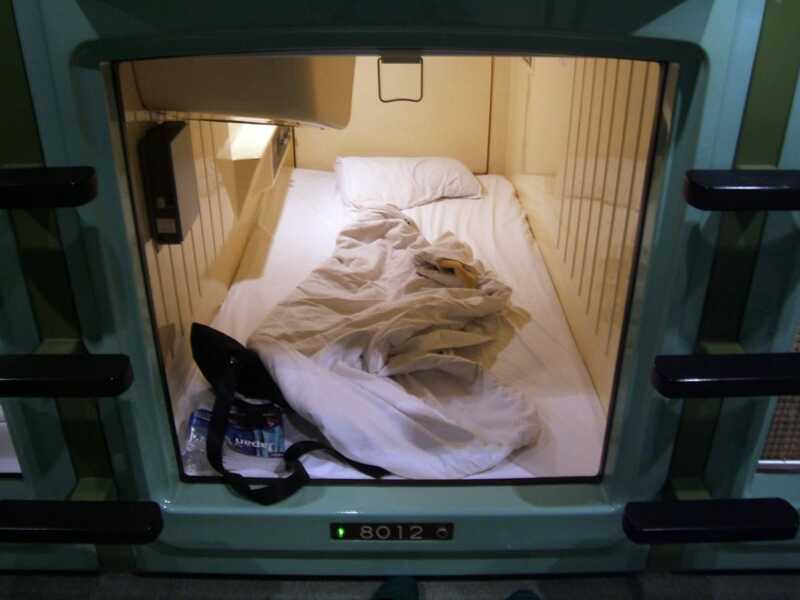 In general, capsule hotels offer only sleeping space and communal bathing facilities, but some places may offer services such as meals, massages and games for an additional charge. How Much Does a Capsule Hotel Cost? Capsule hotels are quite economical. Although accommodation fees in general are jumping because of the rising popularity of tourism in Japan, capsule hotels still typically cost around ¥3,000 to ¥4,000 (about US$30 to $40) per night. As this is much cheaper than a regular hotel, this can make capsule hotels an economical choice if you want to save on travel expenses! How Do You Stay at a Capsule Hotel? Capsule hotels are accessible to international travelers and residents alike, making them a convenient option during a thrifty Japan trip. Staying at one is fairly straightforward. Like other hotels, you need to check in at the hotel counter if you want to stay at a capsule hotel. Guests first usually need to take off their shoes at the entrance and put them in a shoe box. Step inside wearing the slippers that will be on hand and give your shoebox key to the staff at the reception counter. Write down your name, address and contact information in the hotel register and receive the key to your capsule room. You'll then pay your accommodation fee with cash or your credit card. After receiving your room key, go up to the room floor. Though there are some exceptions, the floors for male and female guests are usually separate—and be forewarned that some capsule hotels may only have rooms for men! Your key should have your room number on it, so find the capsule with the corresponding number written by the entrance. Many capsules will have a lid-like door that you can open, while others might just have a pull-down screen. Open the door to your capsule and climb inside. Your pillow and blanket will be awaiting within, and you'll usually also find a small TV, a power outlet and a control panel for the TV and lights. Be aware that you cannot lock the door, because Japan's Hotel Business Law prohibits locks on individual rooms in small lodgings like capsule hotels. Most capsule hotels have large, communal bathrooms. While using the facilities won't require an additional fee, towels and soap may come at an extra charge. You can save a bit if you bring your own towel and soap! If you don’t want to go out for a meal, you might be able to fill up your stomach at the hotel cafeteria, if available. Meals usually come at an additional charge. When you're ready to check out, first change your clothes in the changing room and then bring your safety deposit box key to the reception counter. The staff will return your shoebox key, allowing you to unlock the box and get your shoes out. After putting your shoes on your fresh feet, it's time to head out and continue your travels!